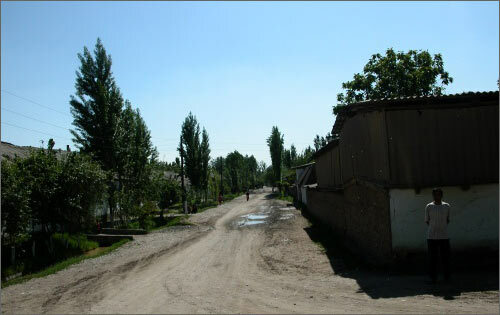 The residents of Chek village in the border area are asking President Kurmanbek Bakiev to relocate them to Kyrgyzstan. According to the letter, addressed to the Head of state, if the requirement is not fulfilled the local residents are going to start protest actions. Earlier, the village dwellers addressed the letter to Kurmanbek Bakiev with the request "to protect their civil rights". It took place following the border incident on April 19, 2009 when nearly 50 armed law enforcement officers of Uzbekistan "entered their homes and threatened to dishouse them”. After publications in Ferghana.Ru and other mass media, Foreign Affairs Ministry of Kyrgyzstan directed note of protest. Uzbek side made no response, indicating that the note was directed in a rush and with serious study of the issue. 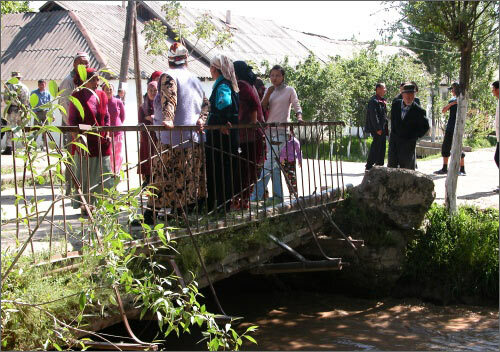 The reason of the conflict is that Chek village is located right at Kyrgyz-Uzbek border, 60 kilometers away from Jalalabad, the administrative center of Jalalabad Oblast, border Pakhtaabad rayon of Uzbekistan. After the collage of USSR the village was split between neighboring republics. On May 12, the heads of Andijan (Uzbekistan) and Jalalabad (Kyrgyzstan) administrations discussed the dispute situation over Chek village, but could not reach certain agreement. It has to be mentioned that the total length of Kyrgyz-Uzbek border is 1375 kilometers. The latest data says that there are about 50 disputable territories, including enclaves both in Kyrgyzstan and Uzbekistan.